LADIES, if you’re after a handsome guy that will give his all and oozes class and power, then we have just the one for you. We are delighted to introduce a striking colt by four-time Group 1-winning sire All Too Hard, out of two-time stakes winner Our Joan Of Arc as our ladies only syndicate from this year’s new crop of yearlings. Being by a record-breaking sprinter and out of an early-racing, Listed Gimcrack winner, we see him as the ideal type for a tilt at the Magic Millions in January next year, with a view of taking home the lion’s share of the $500,000 bonus for the leading lady-owned syndicate. 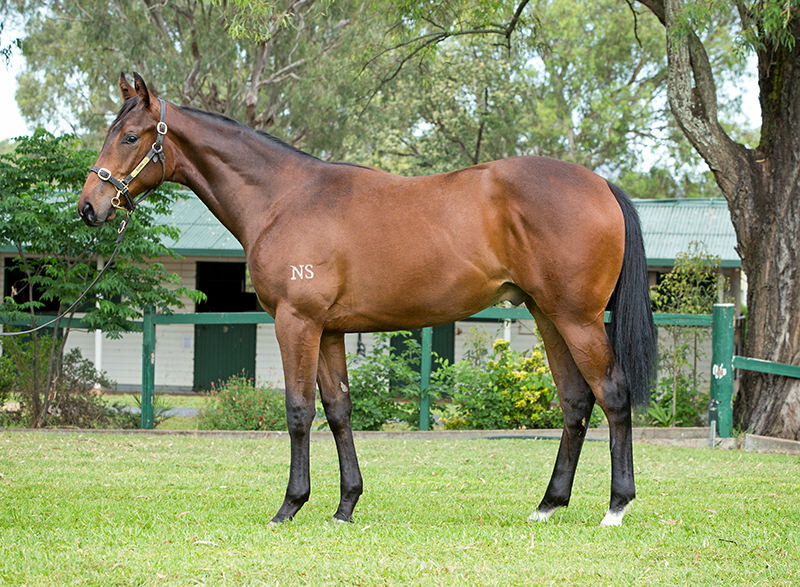 It’s a lucrative opportunity to get involved with a horse that can give an immediate return for your investment, and we hope a lot of fun can be had racing this colt with a group of like-minded and fun ladies. All Too Hard is the only three-year-old to have won the Group 1 Caulfield Guineas (defeating Champion 2yo Pierro), Group 1 C.F Orr Stakes, Group 1 Futurity Stakes and Group 1 All Aged Stakes in one season. All Too Hard has one of the most envious bloodlines in racing. A half-brother to sensational mare Black Caviar, who went unbeaten in all 25 of her starts, including 15 Group 1 successes, his sire line derives from the hugely successful sire of sires, Danehill. His match to Our Joan Of Arc is perfect for producing a speedy and precocious racer. The Beautiful Crown filly emanates from the lauded Danehill/Danzig line, as well as possessing the bloodline of sensational Aussie sprinter Biscay. As a powerful filly, she triumphed in her first appearance on the racetrack, winning the Listed Gimcrack Stakes over 1000m at Randwick before trouncing her rivals to win the Group 3 Inglis Maribyrnong Plate by three lengths at Flemington. He will be in the hands of the best in the business, with 2016 Golden Slipper winners Peter and Paul Snowden undertaking training duties, the ideal candidates to prepare a horse for the big two-year-old races. This is an exciting opportunity to experience the thrill of racehorse ownership within a group of other like-minded ladies at the fantastic price of 10,990 per 10% share. Lesser or greater shares are available, and all details can be found here. If interested, please get in touch via email at info@triplecrown.com.au or call the office on (+61 2) 9499 5212. Live the dream with Triple Crown and Snowden Racing!